According to the Bible it says, when the righteous rule the people rejoice. It is not a hidden fact that the previous SUG body tried their possible best but it was not up to what was expected from them. 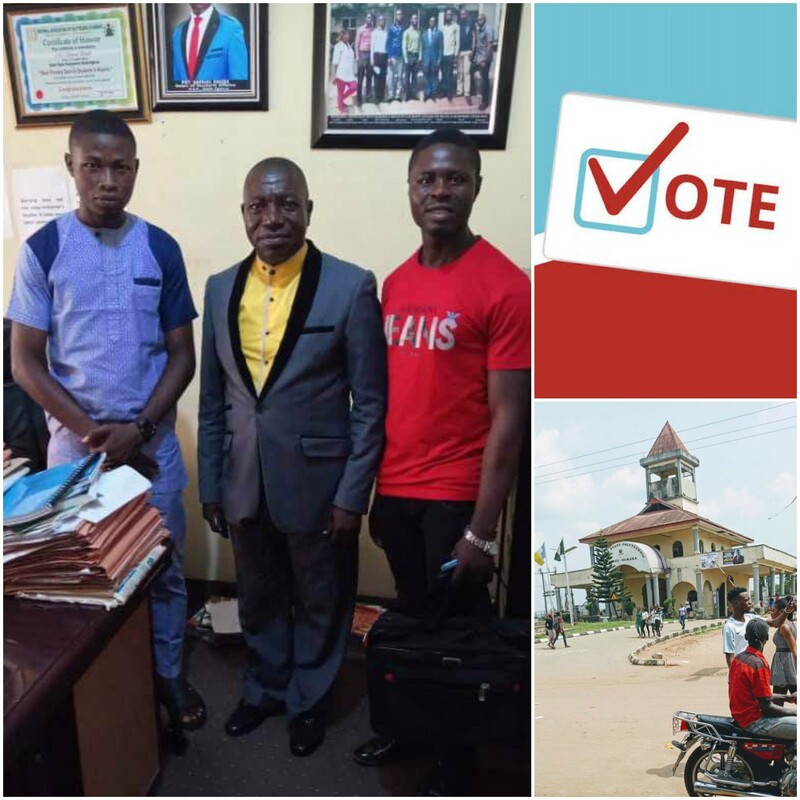 Without much saying, the SUG election is going to hold on the 12th February, 2019 in order for a new SUG Body of Delta State Polytechnic Oghara- Otefe to be elected. We do hope for a peaceful election. For a confirmation the Executives of the National Association of Nigerian Students, Delta Chapter had a short closed door fruitful meeting with the Student Friendly Dean at his office as they reached a peaceful resolutions concerning some vital issues come SUG Elections to be held on 12 February, 2019. Come in masse to vote for your candidate of your choice. In Attendance was Comr. Akunbor Abraham and Comr Anidi Samuel. HND 2 = HND 1 ONLINE AND HND2 SCHOOL FEES..
Matriculation date coming soon, we will bring you full detail on that in our next blog post. Please come in mass to vote in the right Leader. Please share this with your colleagues..